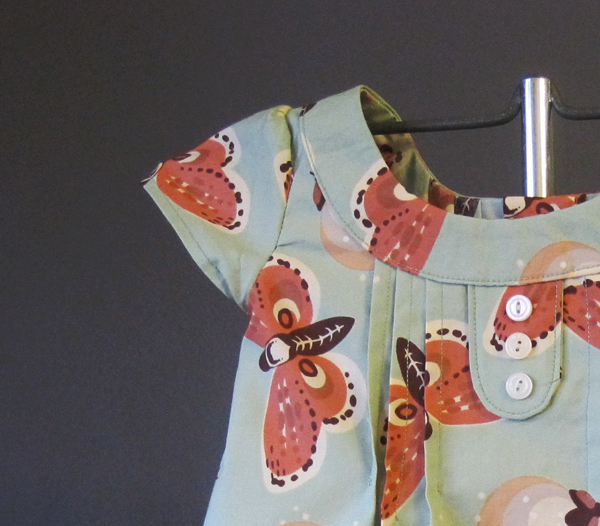 I had so much fun making the first Oliver + S Family Reunion dress that I just had to make another. This one turned out to be less fun, but that’s because I’m kind of an idiot and didn’t realize that a bent needle was the root of all my sewing machine woes until too late. 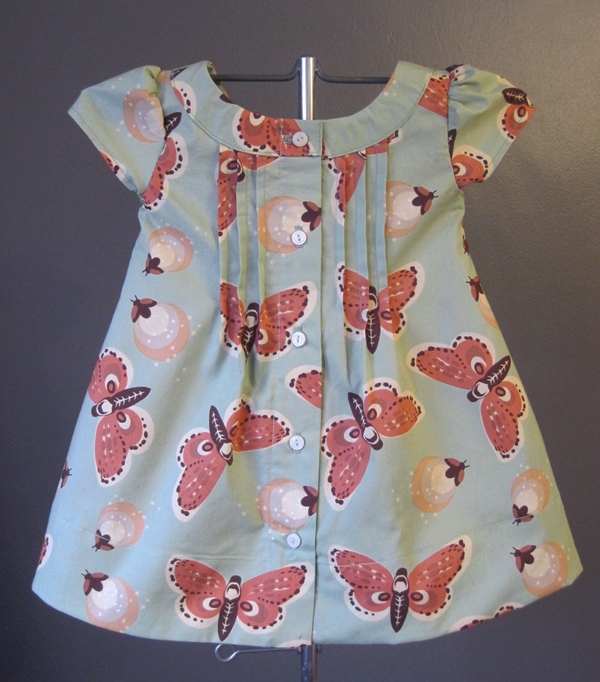 That said, my tiny buddy Coraline has a new dress. And it’s pretty sweet, especially the fabric. It’s called Fireflies Mineral and is from Teagan White’s new line, Fort Firefly for Birch Organics. Check out all her awesome here. I would happily buy nearly any of these fabrics. They make me enormously happy. I truly love these dresses – and the pattern and colors on this one are particularly nice. 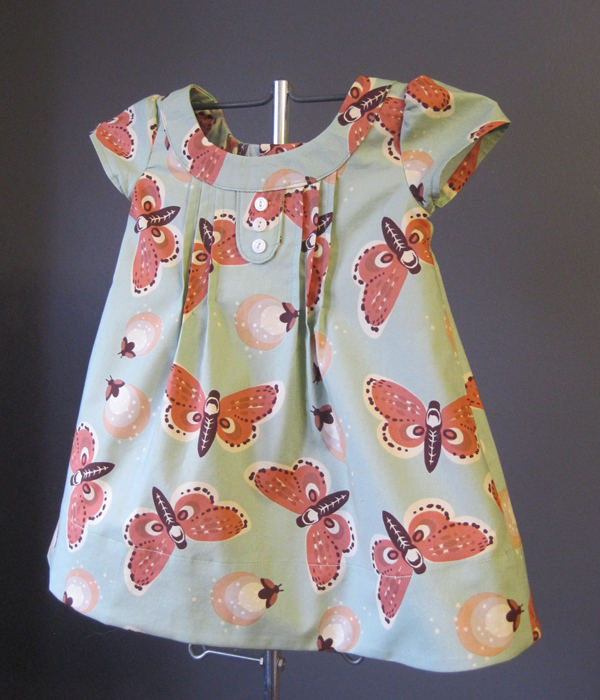 Ran across a pattern this morning for turning odd pillowcases into little girl dresses, will have to share it.